Welcome to the Alexandra hotel, a real ale oasis in Derby's city centre. 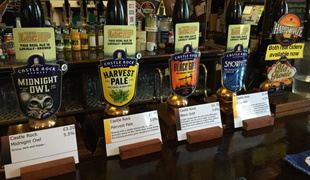 We offer an ever changing selection of 6-8 guest ales from micro-breweries near and far plus the regular Harvest Pale from Castle Rock brewery in Nottingham (CAMRA National Champion Beer of Britain 2010). 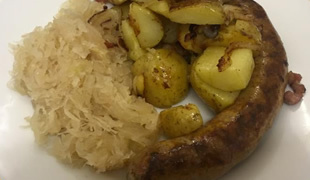 We also offer a large (50+) range of tasty bottled beers, a range of draught keg beers, 2 real ciders and most of the other usual things you'd expect! See our LiveBar page for full details of what's on now, what's in the cellar and our bottled range. A regularly changing selection of quality ales and regulars beers from Castle Rock Brewery and guests from around the country. We use The Real Ale Database LiveBar to keep you informed of what is on the bar. Have a look at what's on now, and also what we've got in the cellar. We can also cater for meetings on request. 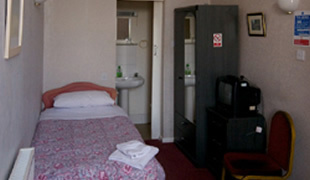 Our four letting rooms are all en-suite (showers only) and available from £30 pppn. All rooms are equipped with a TV and DVD player as well as Tea & Coffee making facilities. A night entrance is available for residents so you can come and go as you please. 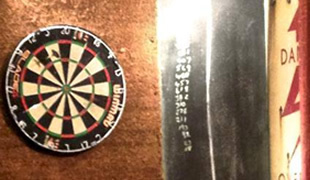 We have darts, dominoes and cribbage for those who like a more traditional pursuit. If you are more competitive, we also compete in local leagues. The Alex is a multi award winning pub with dating back to around 1890. The pub has recently undergone a sympathetic refurbishment, but maintains the core values of quality beers at a reasonable price. The pub is host to a variety of railway memorabillia which includes the cab from a Class 37 loco in the car park. In addition to the ever changing range of beers draught beers, we have a large selection of bottled beers from around the world. Download the full bottled beer list here. For the latest news, event information and pictures, have a look at our facebook page.